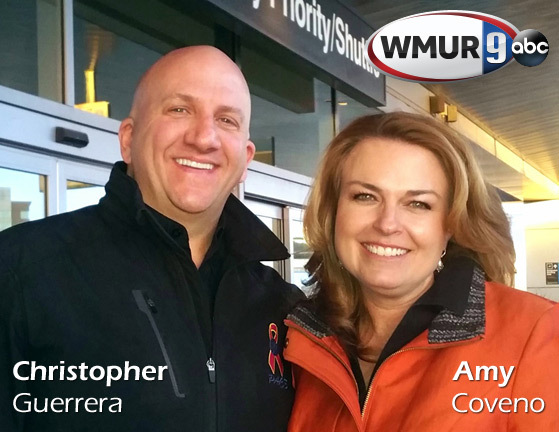 Amy Coveno of ABC WMUR9 talks with Christopher to learn more about how he’s working to bring one of Oneida Air’s flagship American-Made products, the Dust Deputy® to new sales heights, increasing the work force, and gaining national exposure with distribution in some of the largest retail stores in the world. NEW JOBS PLANNED FOR CENTRAL NEW YORK Growth Attributed to Commitment to Lean Manufacturing SYRACUSE, N.Y. (June 10, 2015) – Oneida Air Systems, a leading American manufacturer of dust collection systems for the woodworking industry, announced today that it is well on its way to tripling its sales revenue, an achievement that will result in the hire of 60 new employees over the next year at its Central New York headquarters and manufacturing facility. The company attributes its success to a combination of a commitment to American manufacturing, its adoption of the PACE (Productivity and Capacity Excellence) system, and a recent sales initiative that has taken its flagship consumer product, Dust Deputy®, onto retail store shelves nationwide. Oneida Air Systems has long been known in its industry for offering quality and innovative dust collection systems, which are a necessity in both home and commercial woodshops for health and safety reasons. Unlike many of its competitors, the Syracuse, NY based company has been committed to American-made products since its inception in 1993. CEO Christopher Guerrera comments, “Oneida Air Systems is a company that takes great pride in successfully developing and manufacturing the highest quality products in the industry and offering world class customer support. Building on that strong foundation, we made a renewed commitment to American manufacturing via our implementation of the PACE Lean 6 Sigma System to improve quality, reduce lead times, increase inventory turns, and increase gross profit for the benefit of all customers and employees.” Guerrera previously served in leadership roles at Ingersoll Rand, Ford Motor Company, BMW and Mack Truck, and pioneered the PACE system during his tenure as Plant Manager of BMW’s interior group, Sommer Allibert. Guerrera added, “It was part of my responsibility at Sommer Allibert to implement Just-in-Time Live Broadcast Manufacturing, which would ultimately become the predecessor of the PACE system I’ve implemented at Oneida Air Systems with great success. Within three months of the PACE implementation, Oneida Air Systems experienced a reduction of 50% in both overhead costs and production floor space while throughput increased. Throughout the entire PACE process, we maintained a strong emphasis on the 3P’s: purpose, process, and people, and we were intent on always being ready to meet challenges and to ‘wow’ the customer. As a result, we have seen our sales double in under four years, and we’re now well on our way to tripling our revenue.” Within the last four years, the company has doubled its work force, now employing 60, with 10 new team members having been hired within the last six months. Beyond the implementation of the PACE system, the company has also benefited from the boon of mainstream attention that its Dust Deputy® product has garnered. The Dust Deputy is a patented cyclone that attaches to a wet/dry vacuum and uses centrifugal force to separate and remove over 99% of dust and debris from the air stream before it reaches the wet/dry vacuum’s filter, saving consumers the hassle of needing to clean their filters frequently in order to prevent suction loss and/or the expense of frequent filter replacements. The Dust Deputy has been seen on ‘Good Morning America-Shark Tank Edition’ and displayed at recent trade shows alongside such household name products as Sponge Daddy®, Paint Brush Cover®, Drop Stop®, and ReadeRest®, all products that have achieved mass distribution & sales after their appearance on the reality TV series ‘Shark Tank.’ Dust Deputy is well on its way to becoming a household name, due to recent distribution agreements made with ACE Hardware, Do It Best, Menards, and Woodcraft stores, and with several other large retail chains and big box stores also expressing interest in carrying the product. This entry was posted in Achievements, Articles, Events, National Media on April 21, 2015 by Admin.